Программа для определения занятого места на жестком диске. TreeSize позволяет найти файлы и папки, которые занимают больше всего места. Программа выдает информацию о количестве файлов в папке, дате последнего доступа, владельце файла и многое другое. Кроме этого, возможен экспорт полученных данных в Excel, HTML или ASCII файлы. The application has an intuitive Explorer-like user interface, it is fast and multithreaded and supports Unicode and scheduled scans. You can print detailed reports or export the collected data to Excel and to an HTML, XML or text file. TreeSize Professional can be started from the context menu of every folder or drive. The search results can be moved, deleted or exported. The application has an intuitive Explorer-like user interface, it is fast and multithreaded and supports Unicode and scheduled scans. You can print detailed reports or export the collected data to Excel and to an HTML, XML or text file. TreeSize Professional can be started from the context menu of every folder or drive. Visually Track down disk usage and see the size of all folders including their subfolders and break it down to the file level. Several exporting and reporting possibilities: Printed report (showing the directory structure), Excel, HTML, XML, text file, clipboard. The integrated fully customizable file search helps you to find and archive the largest, oldest, obsolete and temporary files, e.g. invalid shortcuts or files owned by a non existant account. You can search multiple drives, enrire servers and even your entire network neighbourhood. The search results can be exported, moved or deleted. TreeSize Pro is able to save the data to an XML file and to load it again later. A saved XML file can be used to compare it against the current version of the file system branch. The difference between the two scans will be displayed and makes it easy to see which folders have grown. Support for Unicode file and folder names. The visible columns can be configured separately for the TreeSize Pro window, Excel export, HTML Export, Text export and printed reports. A lot of optional columns are available. 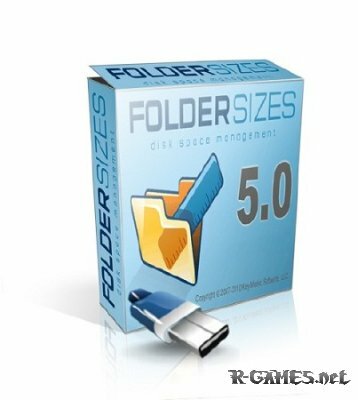 TreeSize Pro ships with a shell extension for Windows 2000/XP/2003 that adds an additional TreeSize column to the Windows Explorer that is showing the size not only for files but also for folders. High performance through Multithreading: Browse the results during scanning, scan and view several folders at the same time, automatic adjustment of the number of threads that are used for a scan. Print the contents of a directory, including all files and the corresponding icons. Several Command line options allow scheduled and overnight scans of your hard disk. An integrated wizard helps to set up scheduled scans. A list of all files in the scanned folder and its subfolders can be exported, for example for use in a database. Explorer context menu is supported inside the TreeSize window.